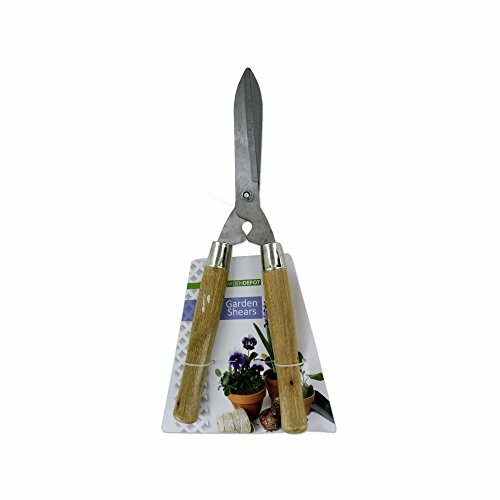 The perfect tool for clipping hedges, bushes, branches and more, these Jumbo Garden Shears feature large, angled wooden handles to help keep hands away from blades. Blades are made with high quality metal with pointed ends and angled blades for extra sharpness. Shears measure approximately 18 1/2" long. Blades are approximately 8" long. Comes packaged on a tie card with a vinyl snap bag. If you have any questions about this product by Kole, contact us by completing and submitting the form below. If you are looking for a specif part number, please include it with your message.